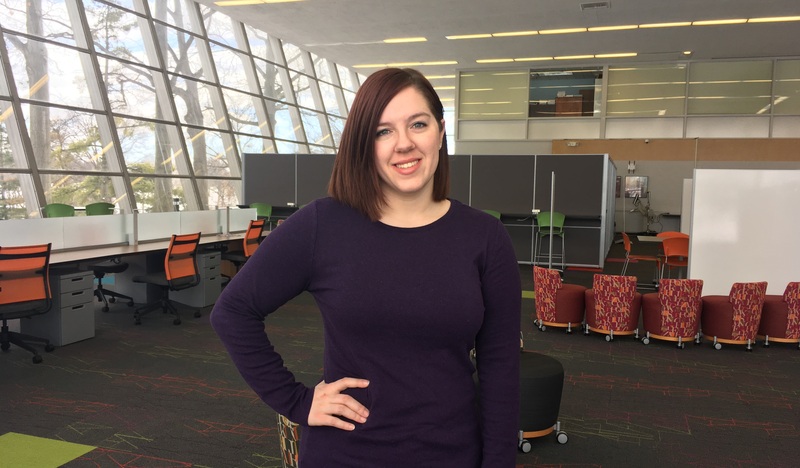 Melinda Noel had a well-established plan when she first set her foot on UMSL campus in the fall 2018. Coming from Jefferson College with an associate degree in teaching, she intended to graduate from the University of Missouri – St. Louis three years later with a bachelor’s degree in Secondary Education, Math emphasis. Three months later, the plan that seemed to be set in stone gave way to an emerging passion, and Noel switched her major to the BES. The Bachelor of Educational Studies Program (BES) is a program specifically designed for students excited about education, but looking for challenges outside the traditional classroom setting. Depending on the sphere of interest, students choose an emphasis area that is in line with their career aspirations. Students choose from five tracks: Early Childhood, Exercise Science and Wellness, Park and Museum Programs, Social Entrepreneurship, and Youth and Adult Development. The program works with a variety of agencies that offer internship opportunities so that students can get diverse experiences. With her obvious love for Science, Technology, Engineering, and Math (STEM), Melinda plans to do her introductory internship at the St. Louis Challenger Learning Center and then choose a community outreach site for her capstone internship. Starting fall 2019, following the UMSL Now initiative the BES program is becoming even more flexible. Classes for Park and Museum Programs, Social Entrepreneurship, and Youth and Adult Development tracks are going to be offered in the evenings, weekends and online to fit students’ busy schedules.